Ability to access the resource via your school network (if you are a NEN school). A very wide selection of music professionally recorded music. Improved interface and facilities (e.g. folders to store your selections – all linked to your USO account profile). Updated with 10,000 new audio files taking the total to 60,000. Use the online search to find and audition music on-site. Individual music tracks can then be downloaded to your computer, pre-cleared and ready for use in your classroom. The downloaded files must not be used for any commercial purposes. The Audio Network Schools Licence is an innovative partnership between industry and education bringing UK schools a vast catalogue of originally composed recorded music for use across the curriculum and for all ages. Audio Network and NEN- the Education Network (NEN) have worked together since 2003 bringing quality recorded music for digital production and performance in schools throughout the UK. The vexed question of music copyright is made clear for schools to use in the digital age. Pupils and teachers are able to use the same materials as professional film makers and broadcasters. All the music in the vast catalogue of tracks has been specially composed by Audio Network’s partner composers, performed by top musicians and recorded to exacting industry standards for media production. The music catalogue now spans music of many different styles, cultures and types, and instrumentation – just browsing through is an education in itself! Warning! 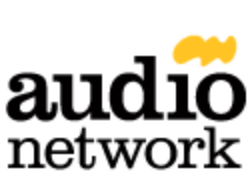 Audio Network is a professional resource for the media industry. SEGfL is pleased to make it available to its teachers and students this high-quality, industry-standard product, but because it is a resource for adults some of the content might be seen as unsuitable for younger pupils.